Today is officially the last day of the exciting fashion month. Paris Fashion Week was as extravagant as always and full of surprises. Now, we can finally review all the latest trends, and start getting ready for Spring 2018. Accessories are always an important part of your outfit. And no one does accessories better than French fashion houses. Unlike London and New York, where jewelry was mostly down-to-earth and delicate, in Paris, we saw many striking pieces. Starting from dramatic earrings, to elegant necklaces and chic berets, luxury brands have it all. If you love adding details to your looks, you will be amazed at the latest accessory trends. Dior was all about the Parisian chic in their Spring 2018 show. Berets, colorful bags, and cool sunglasses were dominating the runway. Bags were available in all sizes and colors, and you can already see the biggest influencers wearing them. Statement earrings are going to be huge in the upcoming season. Dries Van Noten included some of the most mesmerizing earrings we’ve seen during this fashion month. In his beautiful show, models wore eye-catching large earrings that had different shapes and were encrusted with colorful crystals. 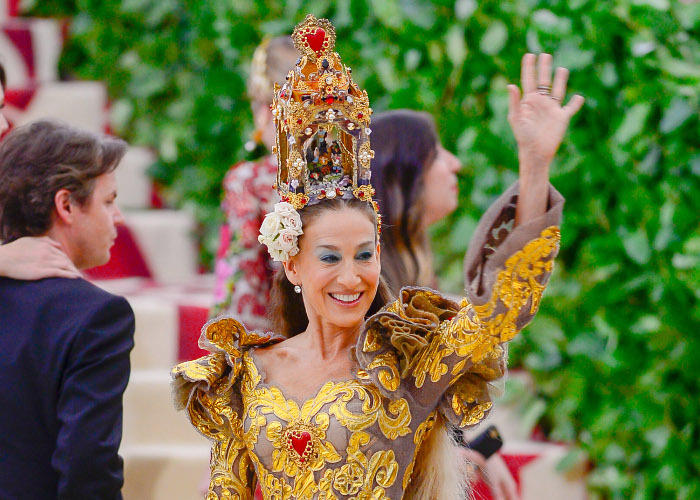 John Galliano always has a surprise or two up his sleeves. For the Spring 2018 Maison Margiela collection, Galliano also designed dramatic earpieces. Additionally, Undercover’s models wore dazzling pearl earrings that were on the edge of elegant and excessive. It seems that 90s-inspired sunglasses are here to stay. Virgil Abloh and Off-White did a great throw-back to that decade, starting with clothes and finishing off with accessories. His Matrix-like sunglasses were the ideal addition to his royal-inspired collection. Here are some of the best accessory trends seen on the runways during SS 2018 Paris Fashion Week from luxury brands such as Dior, Saint Laurent and more.